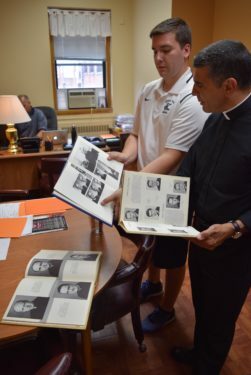 This summer Cathedral Prep and Seminary, Elmhurst, is hosting the 50th year of its Father Troike Summer Leadership Program. 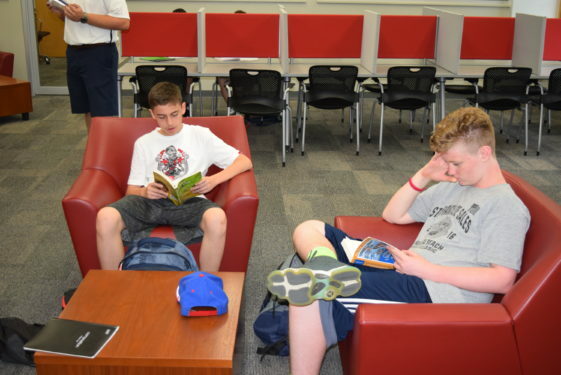 The faith-based session allows for young men to be challenged and strive for greatness in their schoolwork as well as to train for leadership roles among their friends and peers. The beloved late Father Edward Troike taught mathematics at the school and is remembered as a fun-loving priest. Ordained in 1956, he joined the Cathedral Prep faculty in Brooklyn in 1962. The following year, he moved when the Elmhurst branch of the school opened. During his teaching years, he battled cancer, yet his energy never faded and he inspired all of his students, not only in the classroom but also in life. He died in 1974 at the age of 44. The program helps sixth, seventh, and eighth graders realize their God-given gifts and how to utilize them. The Squires are sixth graders advancing into seventh grade and are challenged to tap into their potential. 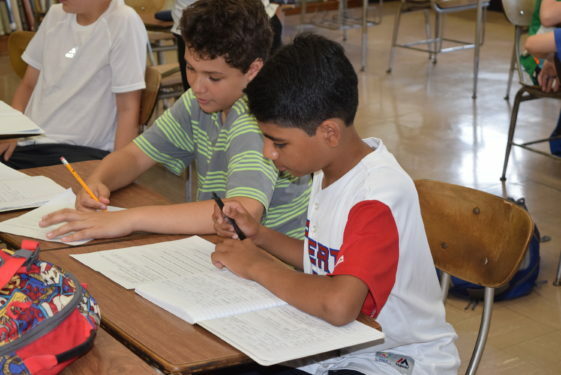 The Crusaders are rising seventh graders who focus on preparation for the upcoming high school entrance exam. Men for Greatness are the incoming freshmen learning what it takes to be a member of the Cathedral community. The daily schedule consists of optional morning Mass, a few hours of classes, lunch and sports. Matthew Dybus, associate development officer at Cathedral and director of the Troike Program, is proud of his students and the young men they are becoming. “We continue the vision of Father Edward Troike because he had the vision of seeing young men needing the help to become leaders. Father Troike envisioned a place in which young men could prepare and not just for the priesthood but also to be strong Catholics in all aspects of life,” said Dybus. Matthew Quinones of Divine Mercy Catholic Academy, Ozone Park, is a first year Squire. 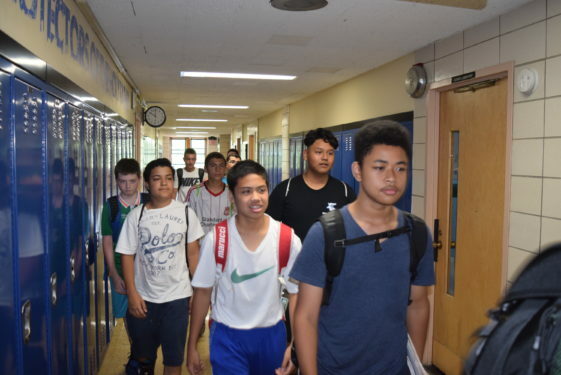 “I expected to come here this summer when school ended and I wanted to go because I knew I would learn a lot and didn’t want to regret missing it because you never know what can happen,” said Quinones. 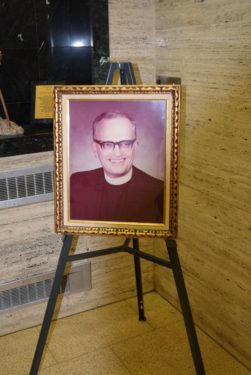 Father Joseph G. Fonti, president of Cathedral Prep, works to continue the legacy of Father Troike. 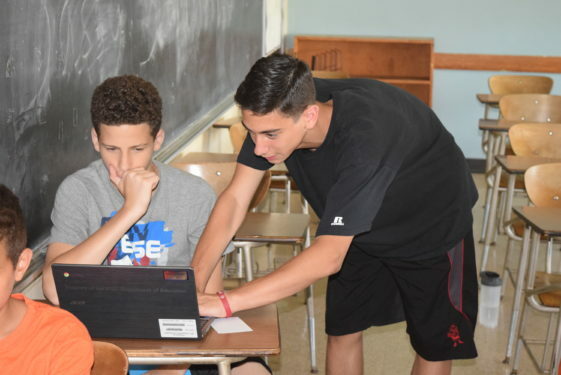 Anthony Leone, an incoming junior at Cathedral and a summer camp counselor, has attended the Troike Program for three years. “In the mornings, we help out the students with their school work and then in the afternoon we coach the sports teams which allows us to give back and show the leadership skills we have learned,” he said.